If you are looking for NHL Salary Cap information, stats, and history, PuckPedia is the only source you need. Check out the comprehensive list of hockey team names below to see their salary cap space, number of contracts, and the best NHL Teams by seeing which teams have the highest odds off making the playoffs. The List of NHL teams below is your index to get the important information you need. What Is the NHL Salary Cap? The NHL salary cap is the total amount that NHL teams may pay for players. The amount set as the salary cap each year depends on the league’s revenue for the previous season. As it is a 'hard cap,' there are no exemptions. However, if a player is injured and it's thought that they will miss at least 10 NHL games and 24 days in the season, their team can put them on long-term injured reserve (LTIR). By doing so, they can surpass the salary cap. The salary cap was introduced to prevent teams with the most revenue signing all the top players, which was becoming a problem in the '90s and early 2000s. For instance, by signing a number of top-performing players and significantly spending more than the majority of other teams, the Detroit Red Wings were able to win three Stanley Cups in that time. This led to the 2004-05 CBA negotiations, during which the entire season was cancelled — the first time a labor dispute has ever caused a cancellation in a major sports league in North America. At the time of the negotiations, teams were spending around 75 percent of their revenues on salaries — much higher than any other North American sports league. Eventually, they agreed to the general structure that remain today, including the mandatory payment to players in US dollars. The concept of a salary cap is not new to the NHL. One was first introduced during the Great Depression, at which time the salary cap per team was $62,500 and $7,000 per player. *During the 2012-13 season, there was a lockout. The salary cap was set to $60 million, but NHL hockey teams were allowed to spend a pro-rated $70.2 million for the shortened season. The salary floor (the minimum that a team must spend as a whole) is 85 percent of the salary midpoint. For the 2017-18 season, the cap floor is $55.4 million. Originally, there were just six NHL teams, called the Original Six. In the 1967-68 season, six new teams were added. The Original Six formed the East Division and the new six formed the West Division. In 1974, six more NHL hockey teams joined the league, creating 18 in total. The league then took four teams from the World Hockey Association when it ceased to exist in 1979. With the Cleveland Barons gone in 1978, this brought the total to 21 teams. There was no further expansion to the league until the '90s. The next new NHL team was the San Jose Sharks in 1991. Another eight were added in the subsequent decade to reach 30 teams by 2000. Finally, in 2016, Gary Bettman, the NHL commissioner, announced that another new NHL team — the Vegas Golden Knights — would join the List of NHL Teams, making 31 teams for the 2017-18 season. Tune in to learn about developments in the league, your favorite NHL teams and players. 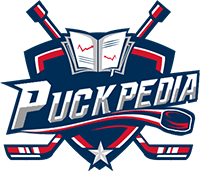 PuckPedia brings you up to speed on the latest news and other exciting developments in the world of NHL hockey. Bookmark PuckPedia now!